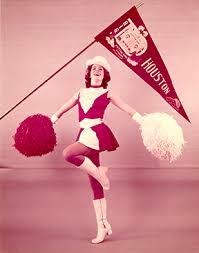 The Spirit of Houston is an umbrella term that represents the official spirit groups at the University of Houston. 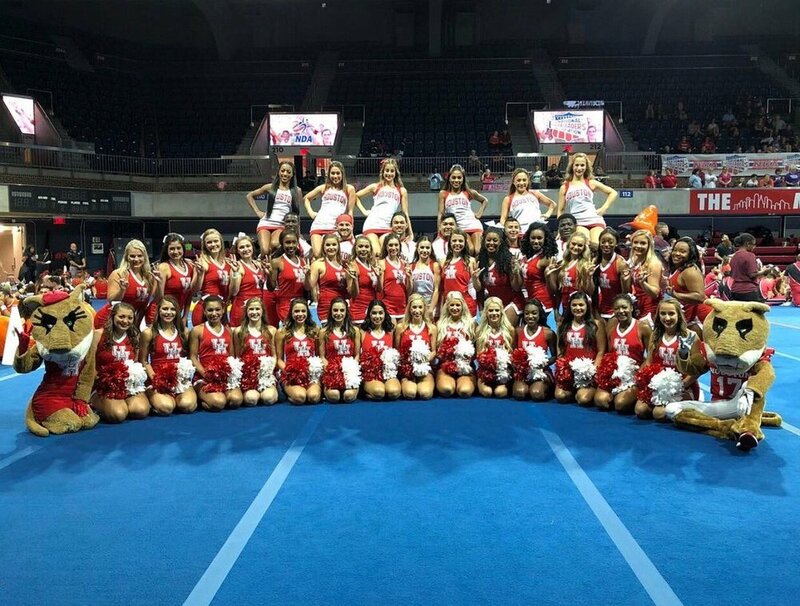 Included in the Spirit of Houston are the UH Cheer teams, the Cougar Dolls Dance Team, the UH Color Guard, the UH Feature Twirlers, the Mascots, the Cougar Brass, and primarily, the Cougar Marching Band. The Spirit of Houston is currently under the direction of Director of Athletic Bands and Spirit Groups, Mr. Cameron Kubos. 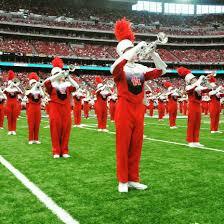 The marching band was first established in 1947, growing in prominence as the University of Houston and its athletics programs began to flourish. 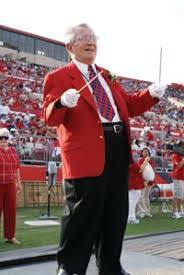 From the late 1960s to the early 1980s, the Spirit of Houston was under the direction of Dr. Bill Moffit, an innovator in modern marching band. 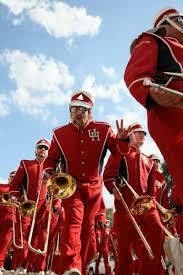 Moffit is credited with creating the “Patterns in Motion” marching style made famous during his tenure at UH. “Patterns in Motion” quickly became very popular among many other collegiate and high school marching bands as the style quickly spread across the nation. He is also well known as an arranger of both traditional band tunes and modern popular songs. Following the departure of Moffit to Purdue University, Greg Talford became director. 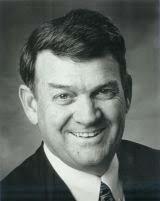 Robert Mayes followed Greg Talford, coming to UH after holding positions at Texas Tech and the University of Wyoming with a reputation for high-energy performances. Under his direction, the Cougar Marching Band continued to grow during the school’s time in the Southwestern Athletic Conference, with the band traveling to Japan, England, Ireland, France, and Mexico. In 2000, David Bertman was hired as the director of the Spirit of Houston Marching Band as well as the Cougar Dolls Dance Team and the University of Houston Cheerleaders. He was charged with the task of maintaining the tradition that had been so firmly entrenched by the bands of Moffit and Mayes while adding the additional spirit component. Under his direction, the Cougar Marching Band and Spirit Groups continued to expand both in size, quality, and spirit. 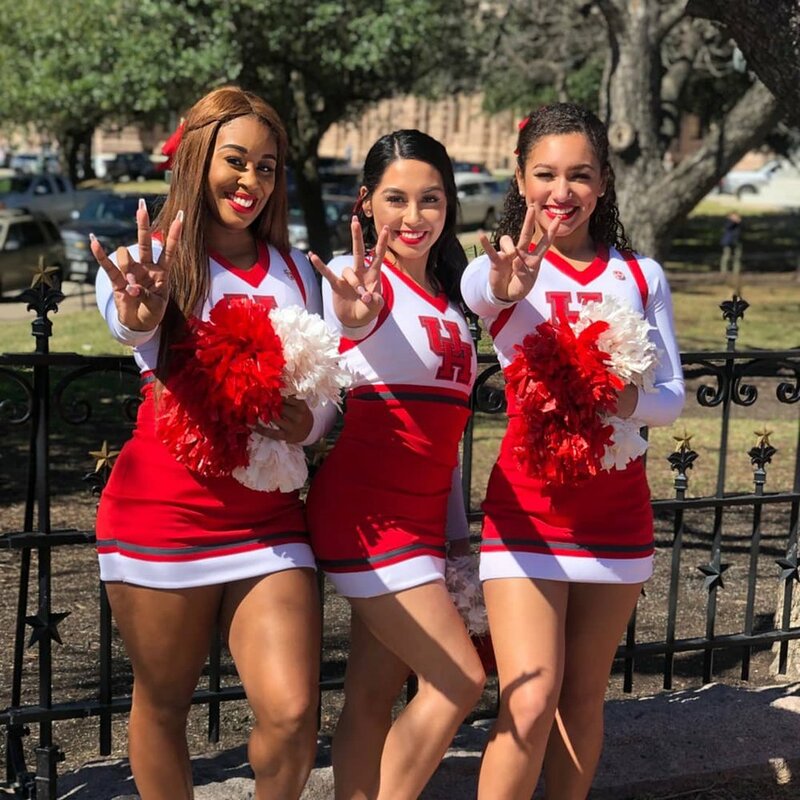 Coupled with the football team's resurgence, the Spirit of Houston has contributed greatly to a growing excitement among students and alumni to see the Cougars return to the upper echelon of college athletics. Following Bertman's promotion to Director of Bands, Troy Bennefield was hired to become the marching band director in 2011. In the summer of 2018, Cameron Kubos became the director of Athletic Bands and Spirit Groups. 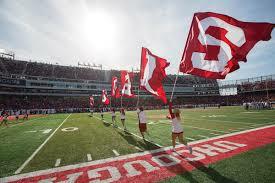 The current staff includes Mr. Kubos, Mr. Jamey Kollar (Marching Percussion Coordinator), Ms. Khristal Harbert and Mrs. Amanda Carlos (Cougar Dolls), Mrs. Amy Weaston (UH Cheerleaders), Ms. Megan Brown (UH Mascots), Mrs. Jennifer Garrison (UH Twirlers), and Mrs. Rhonda Pitts (Administrative Assistant).